How accurate is the fact-checking site Politifact, a project of the Tampa Bay Times newspaper? 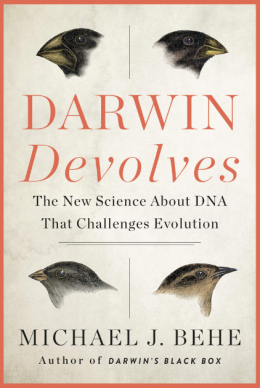 The Weekly Standard reports on a recent study from George Mason University. The fact-checking organization PolitiFact has found Republicans to be less trustworthy than Democrats, according to a new study. Fifty-two percent of Republican claims reviewed by the Tampa Bay Times fact-checking operation were rated “mostly false,” “false” or “pants on fire,” versus just 24 percent of Democratic statements, according to George Mason University’s Center for Media and Public Affairs. By the same token, 54 percent of Democratic statements were rated as “mostly true” or “true,” compared to just 18 percent of Republican statements. The CMPA looked at 100 statements — 46 by Democrats, 54 by Republicans — that were fact-checked by PolitiFact between January 20 and May 22. PolitiFact checked the assertions of Democrats slightly more often than those of Republicans (54% vs. 46% of all statements). However, PolitiFact rated Democratic statements as “mostly true” or “entirely true” about twice as often as Republican statements — 42% true ratings for Democrats vs. 20% for Republicans. Current and former Republican officeholders have been assigned substantially harsher grades by the news organization than their Democratic counterparts. In total, 74 of the 98 statements by political figures judged ‘false’ or ‘pants on fire’ over the last 13 months were given to Republicans, or 76 percent, compared to just 22 statements for Democrats (22 percent). In other words, they are cherry-picking statements that are false for Republicans and true for Democrats. But maybe that’s just because Republicans lie more than Democrats right before an election? Maybe, just before an election, Republicans suddenly start to lie uncontrollably while Democrats suddenly start to tell the truth all the time? Let’s take a look at one famous case and see. This is from Avik Roy, health care policy expert at Forbes magazine. The 2008 Obama plan, among other things, sought to transform the individual insurance market; it proposed to bar insurers from charging different premiums to the healthy and the sick, and to require them to offer plans to all comers, regardless of prior health status. According to PolitiFact, however, there was no need to worry that these provisions would be disruptive to existing health plans. As per PolitiFact’s usual M.O., Holan didn’t seek out any skeptical health-policy experts to suss out the veracity of Senator Obama’s signature claim. Instead, its sources included Jonathan Cohn, a passionate Obamacare supporter at The New Republic, and various interviews and statements of Mr. Obama. Holan simply took the “keep your plan” promise at face value, dismissing as dishonest anyone who dared suggest that Obama’s claim would be impossible to keep. “His opponents have attacked his plan as ‘government-run’ health care,” she wrote, the scare-quotes around “government-run” being visible to all. […]So that brings us back to the fall of 2013. 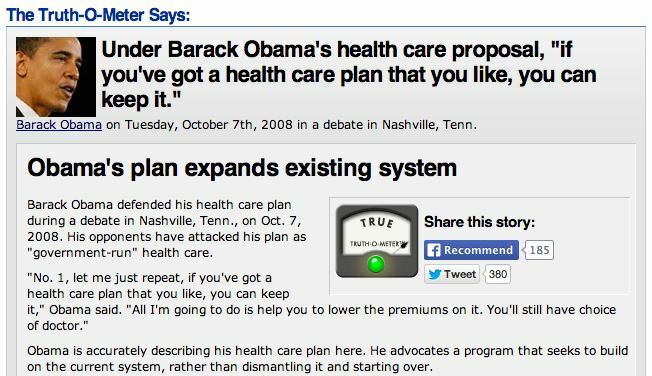 As Obamacare’s battle station became operational, and tens of millions of health plans became illegal, PolitiFact was caught with its flaming pants down. Louis Jacobson rapped Valerie Jarrett for tweeting that “nothing in Obamacare forces people out of their health plans”—a claim Jacobson rated as “False,” even though PolitiFact had rated it as “True” and “Half True” before. 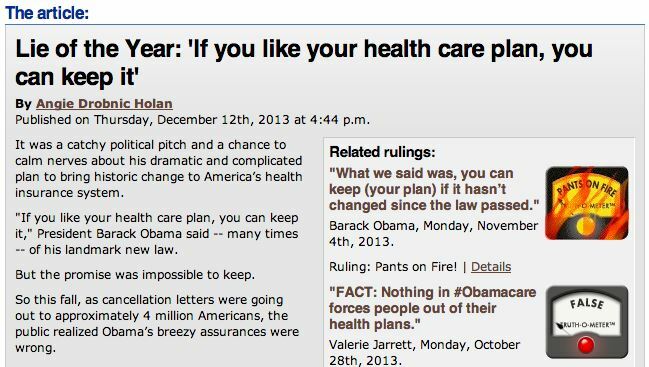 On November 4, Jacobson rated as “Pants on Fire” the President’s new claim that “what we said was, you can keep [your plan] if it hasn’t changed since the law passed.” Both pieces were edited by Angie Drobnic Holan, who had initially granted PolitiFact’s seal of approval to Senator Obama’s 2008 promise. Holan delivered the coup de grâce, declaring as PolitiFact’s “Lie of the Year” the “keep your plan” promise. “The promise was impossible to keep,” says Holan in her December piece. Now she tells us! But none of the key facts that made that promise “impossible” in 2008 had changed by 2013. The President’s plan had always required major disruption of the health insurance market; the Obamacare bill contained the key elements of that plan; the Obamacare law did as well. The only thing that had changed was the actual first-hand accounts of millions of Americans who were losing their plans now that Obamacare was live. Politifact says: we were just kidding! Kidding! So when Politifact rates a statement by a Democrat as true, what they really mean is that it’s pants-on-fire-false, but it’s election time so they don’t say that. The Tampa Bay Times. Politifact. It’s a catchy name, isn’t? It’s telling us the Facts about Politics. I suppose the same people who think that Politifact is a reliable fact checker also believe that the Affordable Care Act would lower premiums by $2500, as Obama said. It actually raised them $3000 in objective reality, though. But it says Affordable Care Act in the name, so missing the target by $5500 must be “affordable”. I think this case demonstrates how people on the political left allow their emotions to overturn objective reality. You can keep your doctor. You can keep your health plan. Benghazi was caused by a Youtube video. The e-mails and e-mail backups of all the IRS employees were lost. The Department of Justice did not target Associated Press journalists. The assault weapons were not gun-walked to Mexican drug cartels. They will believe anything that makes them feel superior and noble, even pinned down by the heavy weight of countervailing facts. Without a doubt. Obsessively dissecting every comment made by a conservative and outright ignoring every false statement made by a liberal is their game. Same for snopes. Liberals are a pure propaganda machine.